This 1972 Lamborghini Miura P400 SV isn't just the finest restored example of the world's first supercar. The "SV" stands for "Spinto Veloce", the final, most refined version released, with a suspension tweaked to improve handling, wider rear bodywork, larger carburetors, and revised cam timing for its signature 385hp, mid-mounted alloy V-12 engine that made it more enjoyable to drive at low RPMs. Its restoration was handled by Miura specialists in Modena, many of whom are former Lamborghini workers themselves, and heavily documented. 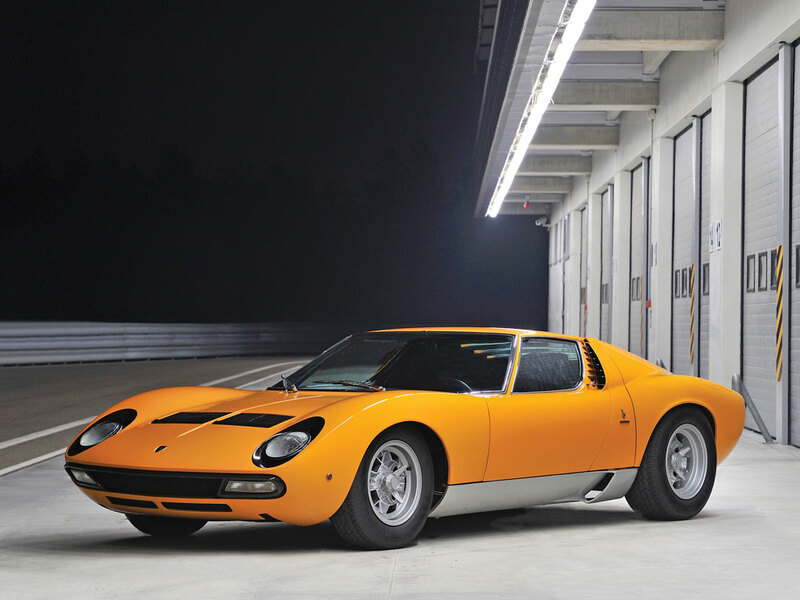 Presented in its original Giallo Miura livery with black leather interior.